At Wing Orthodontics, our mission is simple -- we strive to create award winning smiles, make our patients feel like family (minus the bickering), and work on our blossoming acting careers along the way! (check out our YouTube channel!) While accomplishing this mission, we've found that orthodontic treatment can (and should) be FUN -- after all, we're not doing root canals here, people. We are straightening teeth, correcting bites, and helping our patients' self esteem shoot through the roof! And in this day and age of Instagram, Snapchat, and ten-a-day selfies, who wouldn't want their smile to be in top photo shoot condition? 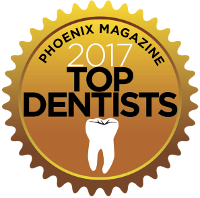 Dr. Wing and his team truly have a passion for creating amazing smiles and making new friendships at our Mesa, AZ orthodontic office. We also serve Gilbert, Queen Creek, and surrounding communities, and with only one doctor and one office, you don't have to chase us clear across the valley when you need us -- we're here for you! Please call us to schedule your complimentary consultation and learn how we can create a beautiful, healthy smile for you! In the meantime, enjoy perusing our exciting, informative, and 100% ad-free website. All photos are actual patients of Dr. Wing.